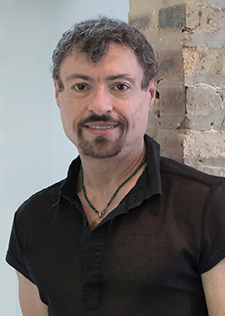 Chicago based Doctor Daniel Berger is a leading HIV specialist in the U.S. He is Clinical Associate Professor at the College of Medicine, University of Illinois at Chicago and medical director and founder of Northstar Medical Center, the largest private HIV treatment and research center in the Greater Chicago area. Dr. Berger serves as principal investigator at Northstar Medical Center where he has conducted nearly 200 HIV-related clinical trials. Dr. Berger is well known nationally and internationally among researchers and individuals engaged in HIV drug development. He has published more than 70 articles and abstracts in peer-reviewed medical journals and international conferences on antiretroviral therapy and other HIV-related treatment. His publications include such prestigious journals as the Lancet, the New England Journal of Medicine, the Journal of Acquired Immune Deficiency Syndrome and the Annals of Internal Medicine. Dr. Berger has served on numerous boards and committees including the Medical Issues Committee for the Illinois AIDS Drug Assistance Program, the AIDS Foundation of Chicago, Test Positive Aware Network and the editorial board for Contagion: Reports, Cases, and Commentaries in HIV and Infectious Disease Research and is currently a member of the Board of Governors for the School of the Art Institute of Chicago. Dr. Berger often lectures nationally to physicians with updates of reviews of conferences and research and applying the newest data into clinical practice. He regularly writes for several community publications; his column The Buzz is often featured on thebody.com web site. Additionally, he has contributed to and written the Forward for HIV – The First Year, An Essential Guide for the Newly Diagnosed and authored the book chapter entitled Enteral and Parentral Support in Nutritional Aspects of HIV Disease (Oxford University Press). Dr. Berger has been honored by Test Positive Aware Network with the Charles E Clifton Leadership Award for excellence, leadership and years of service. Activity of Elvitegravir, a Once-Daily Integrase Inhibitor, against Resistant HIV Type 1: Results of a Phase 2, Randomized, Controlled, Dose-Ranging Clinical Trial. Andrew R. Zolopa, Daniel S. Berger, Harry Lampiris, Lijie Zhong, Steven L. Chuck, Jeffrey V. Enejosa, Brian P. Kearney, and Andrew Cheng. JID 2010;201:814-22. Safety and Efficacy of Raltegravir-based versus Efavirenz-based Combination Therapy in Treatment-Naïve Patients with HIV-1Infection: A Multicentre, Double-Blind Randomised Controlled Tria: Jeffrey L Lennox, Edwin DeHesus, Adriano Lazzarin, Richard Pllard, Jose Madruga, Daniel S. Berger, Jing Zhao, Xia Xu, Angela Williams-Diaz, Anthony J Rodgers Michael Miller, Mark DiNubile, Bach-Yen Nguyen, Rahndi Leavitt, Peter Sklar, for the STARTMRK investigators. The Lancet, Earlly Online Publication, 3, August 2009. doi:10,1016/S0140-6736(09)60918-1. B Young, K Smith, P Patel, M Markowitz, D Berger, P Wannamaker, L Yau, C Vavro. Characterization of Virologic Failure Over 96 Weeks by Drug Resistance and Antiviral Responose in ART Naïve Patients Receiving Abacavir/Lamivudine or Tenofovir/Emtricitabine Each with Lopinavir/Ritonavir QD in the HEAT Study. 48th Annual ICAAC/IDSA 46th Annual Meeting. Washington DC, Oct 25-28, 2008. Metabolic Effects of a Growth Hormone-Releasing Factor in Patients with HIV. Julian Falutz, Soraya Allas, Koenraad Blot, Diane Potvin, Donald Kotler, Michael Somero, Daniel Berger, Stephen Brown, Gary Richmond, Jeffrey Fessel, Ralph Turner and Steven Grinspoon. New Engl J Med 2007;357:2359-70. Influence of Baseline Factors on Virologic Response to Darunavir/Ritonavir (DRV/r) vs Lopinavir/r (LPV/r): Week 48 Outcome in TITAN. Berger DS, Northland R, Scribner A, De Paepe E, De Meyer S, Moriarty D, Spinoza-Guzman S. 11th European AIDS Conference, Madrid, Spain, 24–27 October 2007. Week 24 Efficacy and Safety of TMC114/ritonavir in treatment-experienced HIV Patients: R Haubrich, D. Berger, P Chilade, A Colson, M Conant, J Gallant, R Gulick, J Nadler, G Pierone, M Saag, P Shalit, B van Baelen M de Bethune, A Koest er, W Parys, V Sekar, E Lefebvre on behalf of Power 2 study group AIDS 2007, 21:F11-F18. Efficacy and Safety of TMC125 in Patients with Highly Resistant HIV-1: Primary 24-week Analysis of trial TMC125-C223. The TMC 125-C223 Writing Group: Jeffrey Nadler, Calvin Cohen, Gary Blick, Dushyantha Jayaweera, Charles Hicks, Peter Shalit, Melanie Thompson, Daniel Berger, Stephen Smith, Shannon Schrader, Douglas Ward, Richard Greenberg, Paul Cimoch, Corklin Steinhart, Peter Ruane, Anthony Mills, , Monika Peeters, Kathy Iveson, Ellen Voorspoers Brian Woodfall. AIDS 21(6): F1-F10, March 2007. Once-daily abacavir/lamivudine (ABC/3TC) and boosted Atazanavir (ATV/RTV) in antiretroviral-naïve HIV-1 infected subjects: 48-week results from COL102060 (SHARE); Elion R, Dehesus E, Sension M, Berger D, Towner W, Richmond G, Yau L, Ha B, COL102060 Study Team. 4th IAS Conference on HIV Pathogenesis, Treatment and Prevention. Sidney, Australia, 22-25 July 2007. The HIV integrase inhibitor GS-9137 has potent antiretroviral activity in treatment-experienced patients Zolopa AR, Mullen M, Berger D, Ruane P, Hawkins T, Zhong L, Steven Chuck, Jeffrey Enejosa, Brian Kearney, Andrew Cheng. 14th Conference on Retroviruses and Opportunistic Infections, Los Angeles, 2007. Abstract 143LB. Antiviral activity, Pharmacokinetics and Dose Response of the HIV-1 Integrase Inhibitor GS-9137 (JTK-303) in Treatment-Naïve and Treatment-Experienced Patients. Edwin DeJesus, Daniel Berger, Martin Markowitz, Calvin Cohen, Trevor Hawkins, Peter Ruane, Richard Elion, Charles Farthing, Lijie Zhong, Andrew K Cheng, Damian McColl, Brian P. Kearney for the 183-0101 Study Team. J Acqu Immune Defic Syndr 2006;43:1-5. TMC114/r in 3-Class-Experienced Patients: 24-we Primary Safety Analysis of the Power 2 study (C202).Berger DS, Bellos N, Farthing C, Stryker R, Colson A, Pierone G, Lefebvre E, Cefalone M, Koester A, Van Baelen K, De Pauw M. 45st Interscience Conference on Antimicrobial Agents and Chemotherapy. Dec 16-19, 2005, Wash DC abst H-1094. Efficacy and safety of once-daily abacavir/lamivudine fixed-dose combination (ABC/3TC) + efavirenz (EFV): ESS30009 planned 48 week analysis. JE Gallant, AE Rodriguez, W Weinberg, B Young, D Berger, JL Lim. Liao Q, Ross L, Johnson J, Shaefer MSAmerican College of Clinical Pharmacy Annual Meeting (October 23 - 26, 2005), San Francisco, CA (encore presentation).